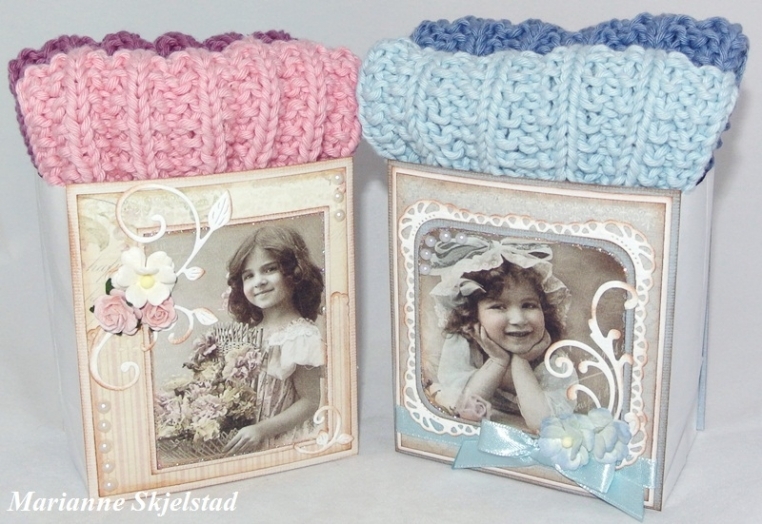 I have knitted some gifts in nice colors, and of course they had to get a nice packaging. I have used white paper bags, cut them down to a suitable size and decorated them with papers and pictures. The papers are from For Mother and the images are from the collection From Grandma’s Attic ~ tinted.